Make a dynamic difference in your Jeep Liberty's sound system. Mopar Subwoofers are uniquely designed to integrate into your vehicle and enhance bass response. 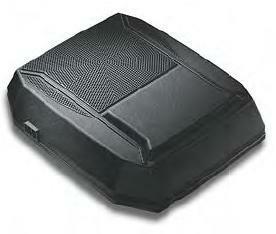 Black, 6.5" subwoofer and 80-watt amplifier, mounts under driver's seat. Will not fit 2003-2004 Liberty. A special connector was needed for those model years that is no longer being made by Mopar. The Mopar part number was 82208080. I've got a 2002 Liberty Limited and this made the bass in my Infinity sound system much better. Installation took an hour or two, nothing was very difficult. Very satisfied with this purchase. If your looking for something to add to your Jeep in the price range, its a good addition.